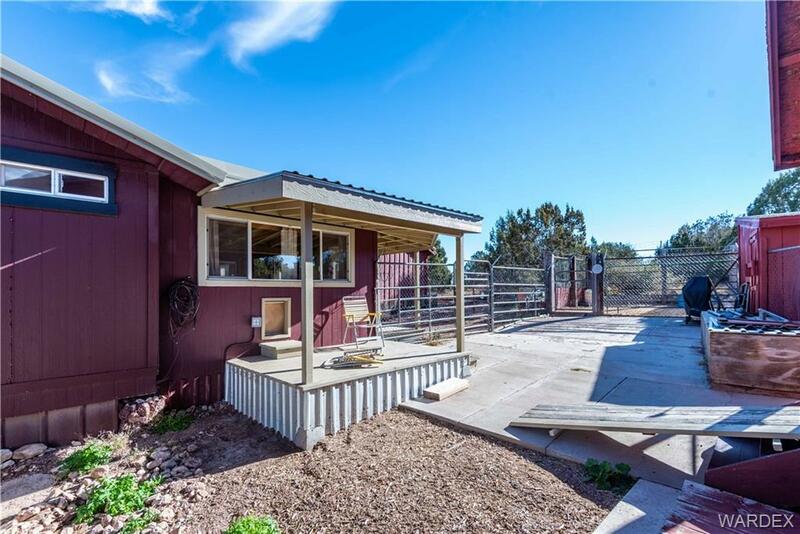 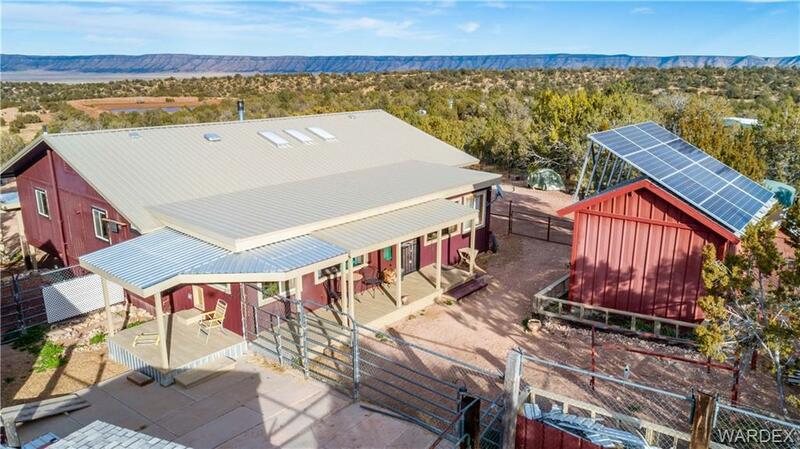 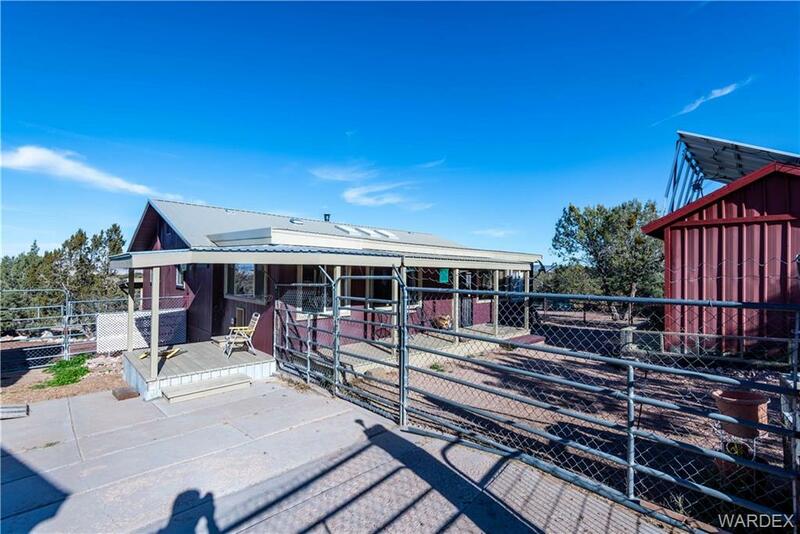 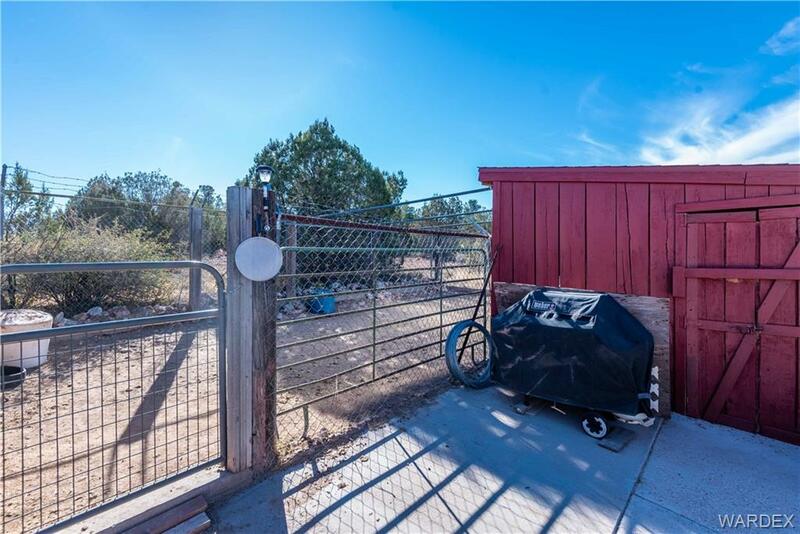 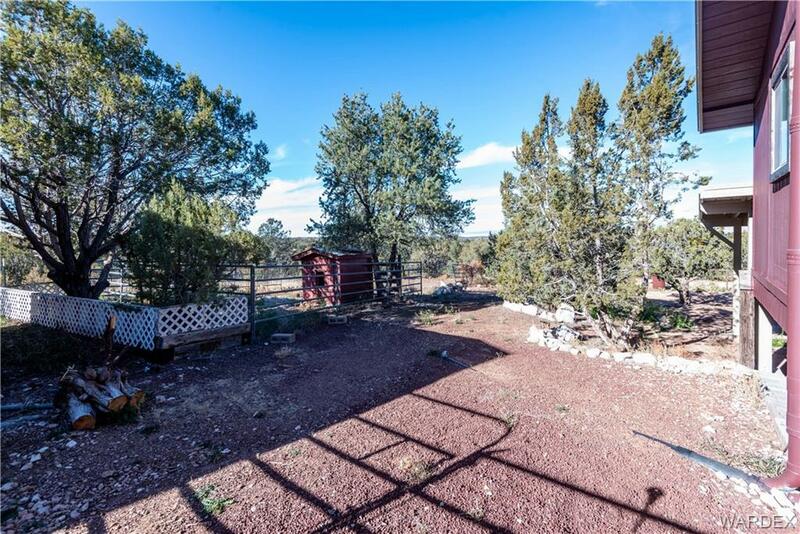 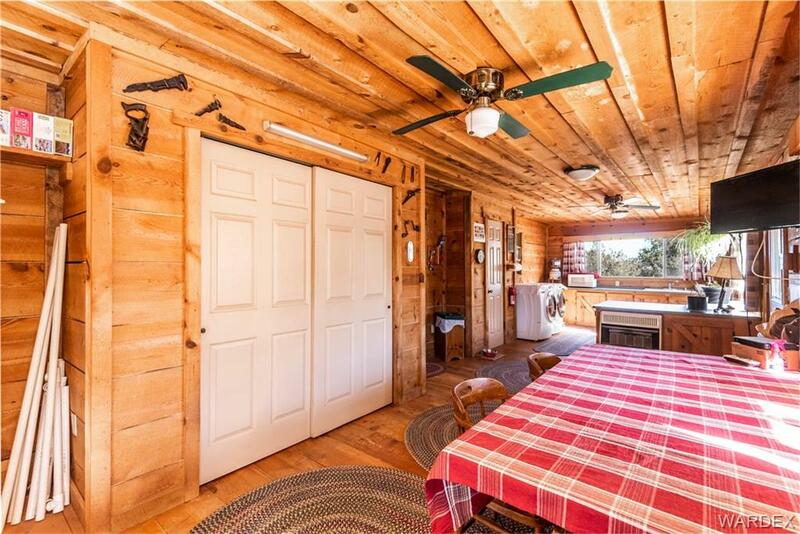 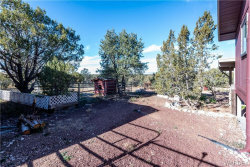 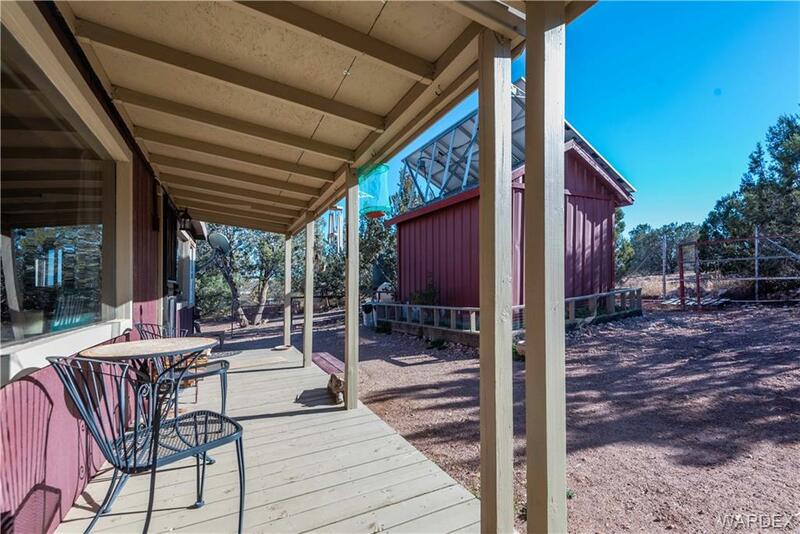 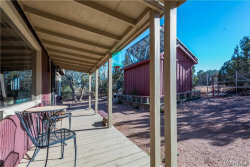 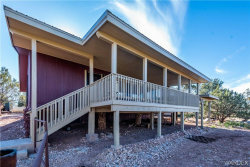 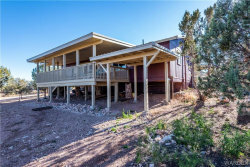 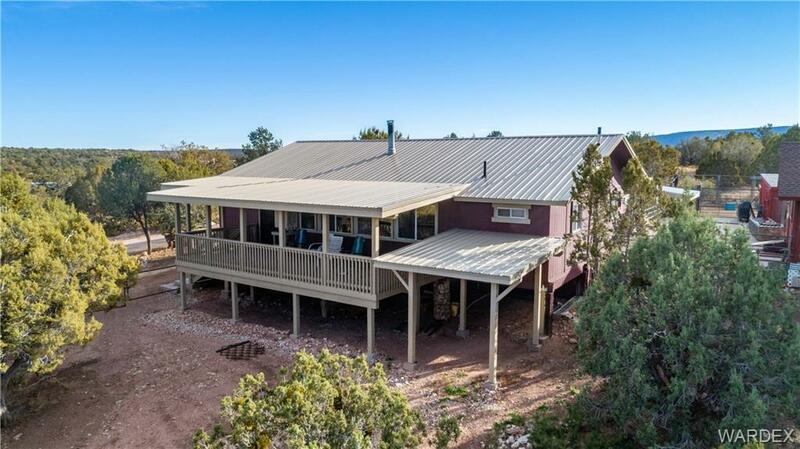 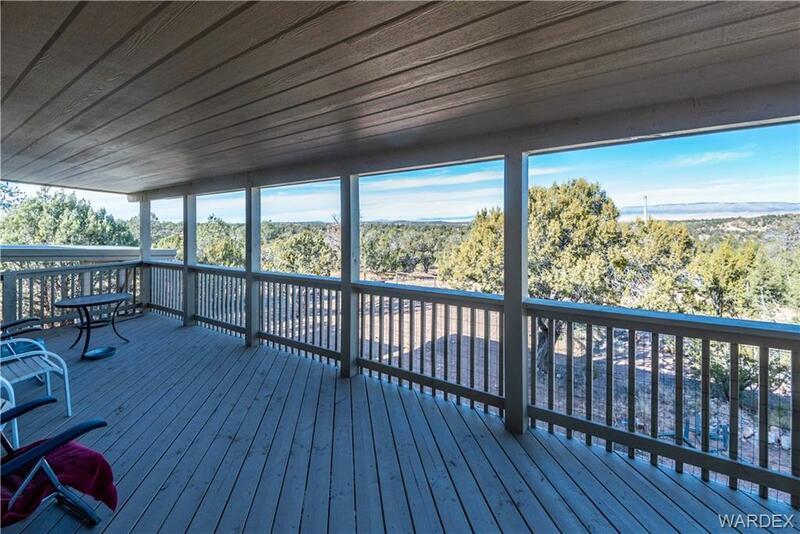 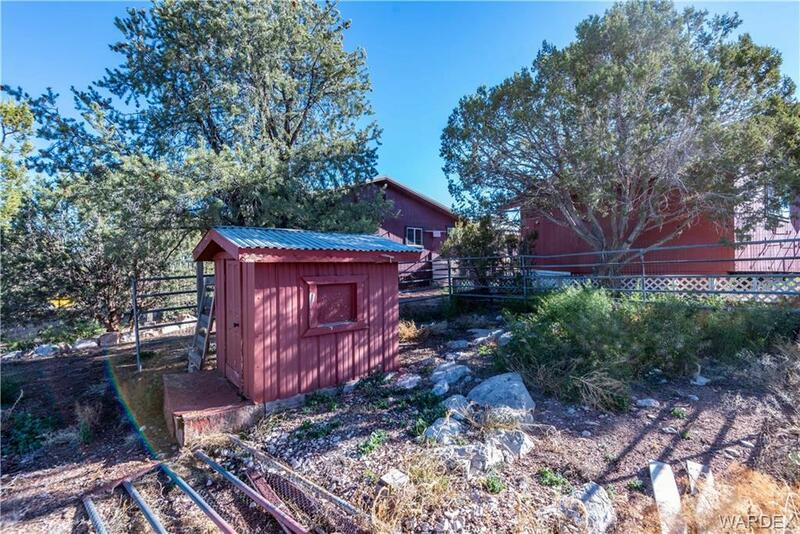 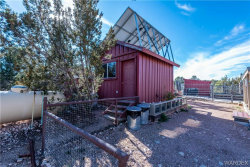 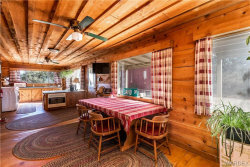 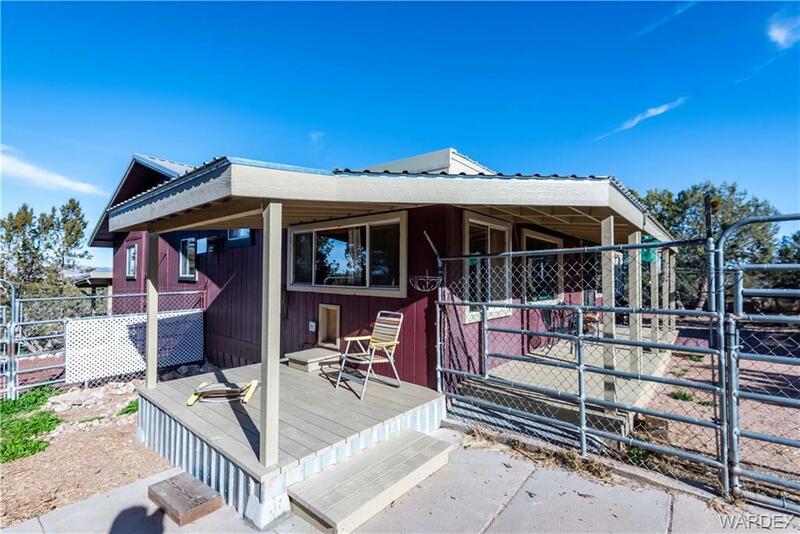 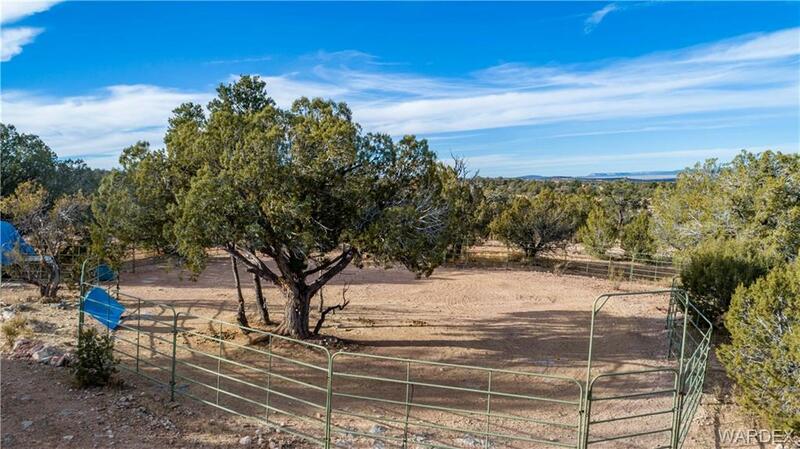 Cabin overlooking Route 66 from a tall Mesa high in the trees, with rolling hills, and views for MILES. 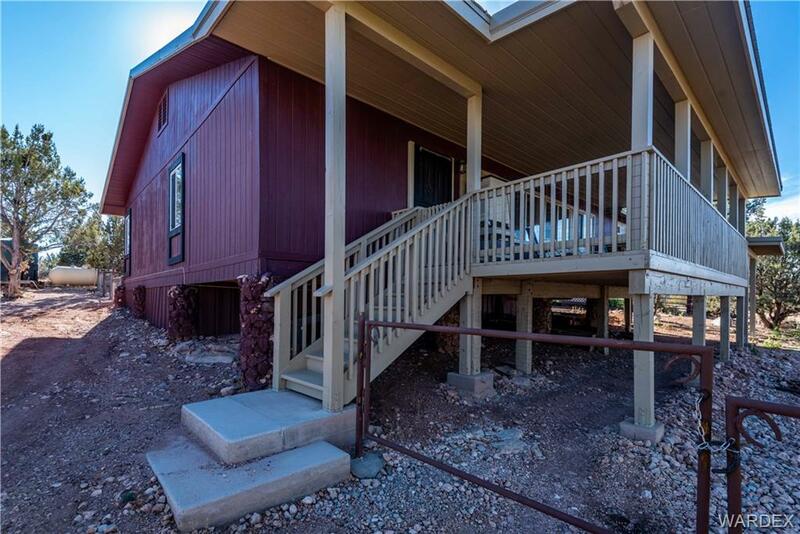 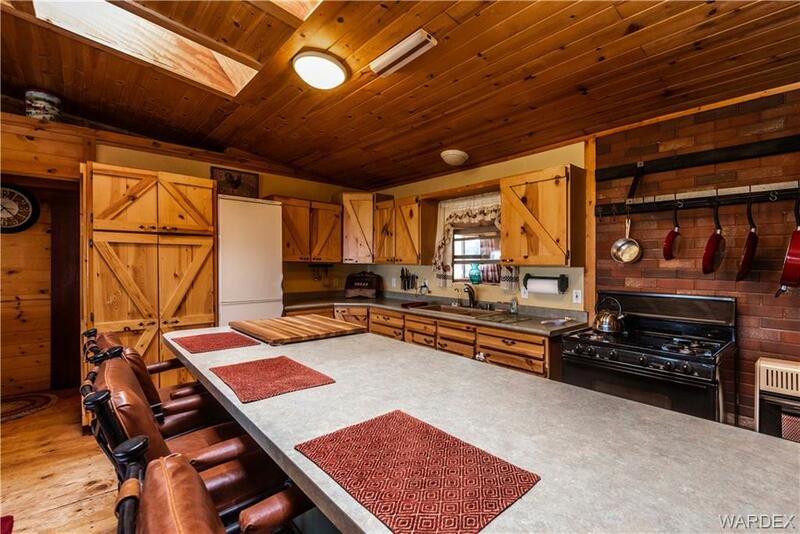 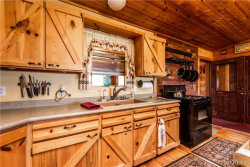 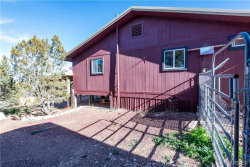 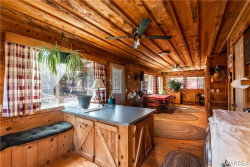 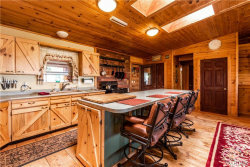 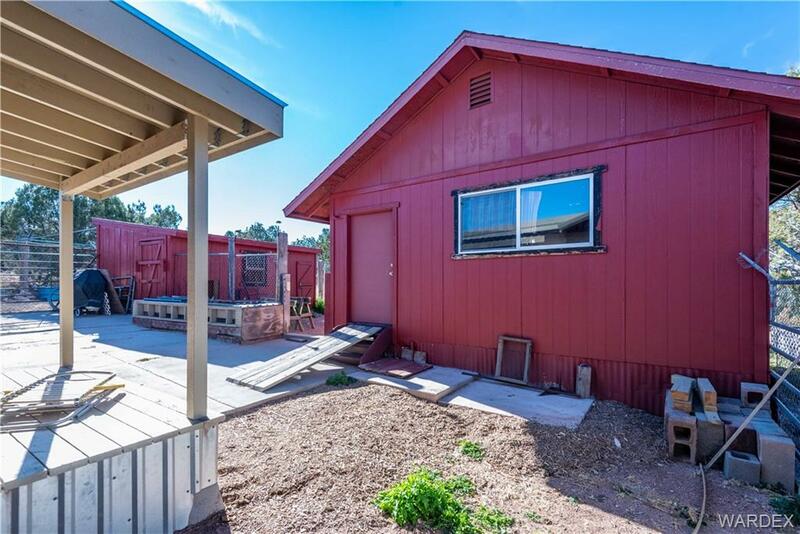 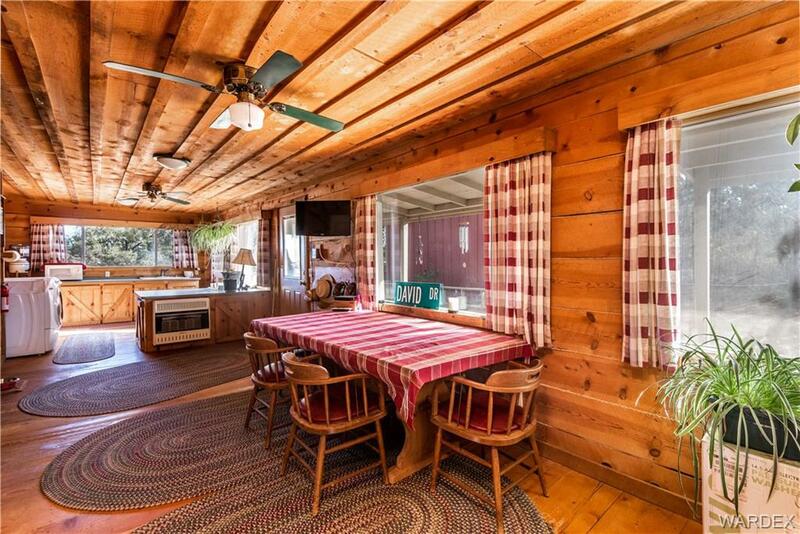 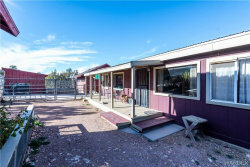 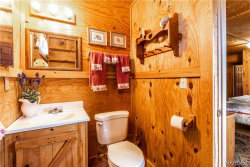 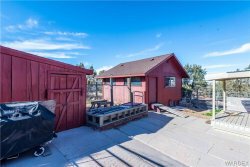 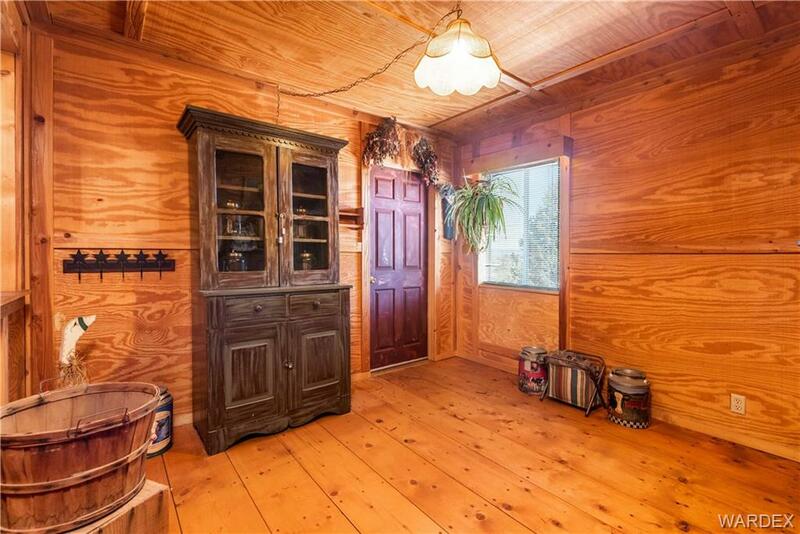 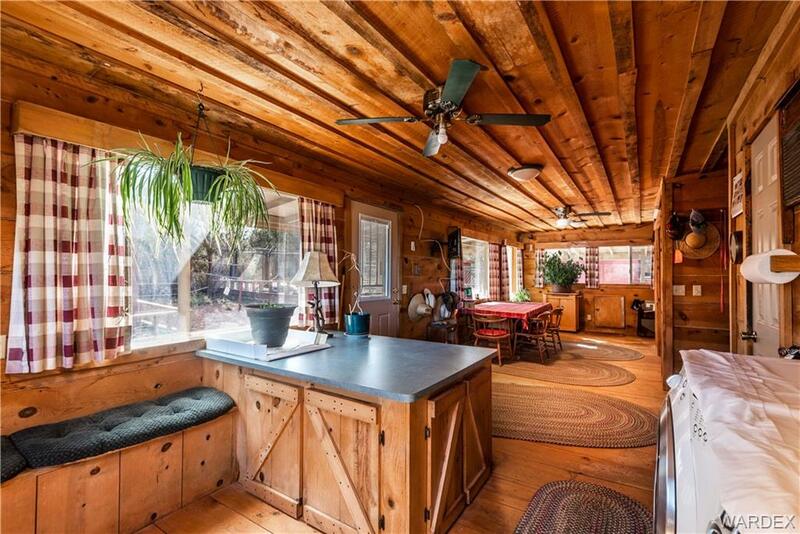 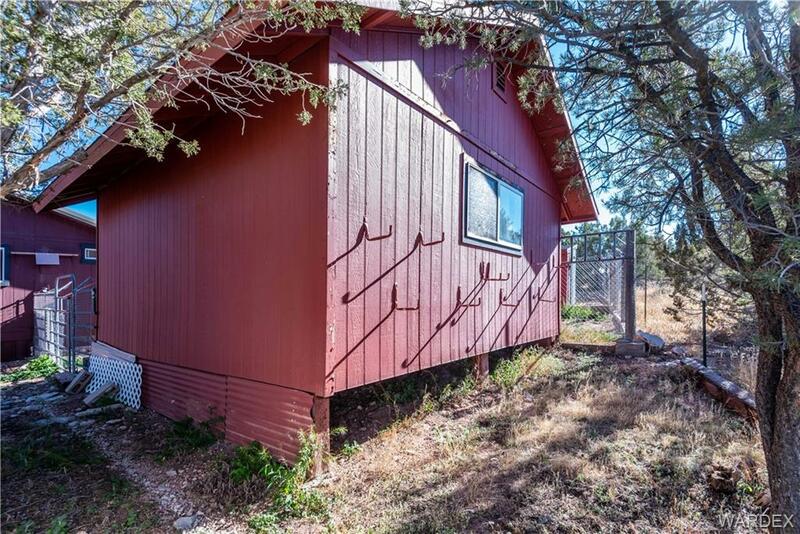 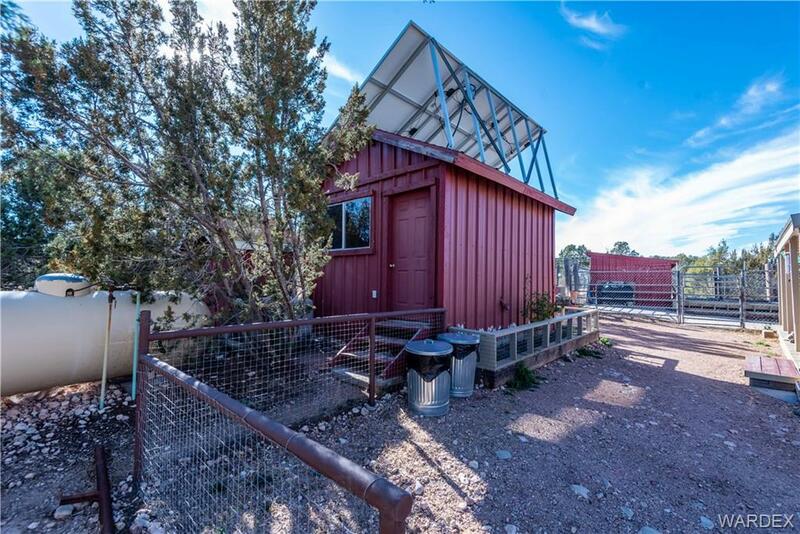 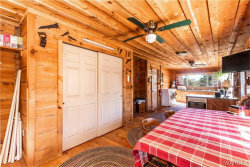 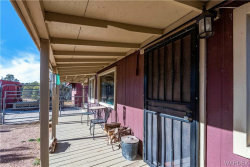 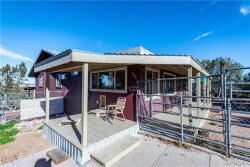 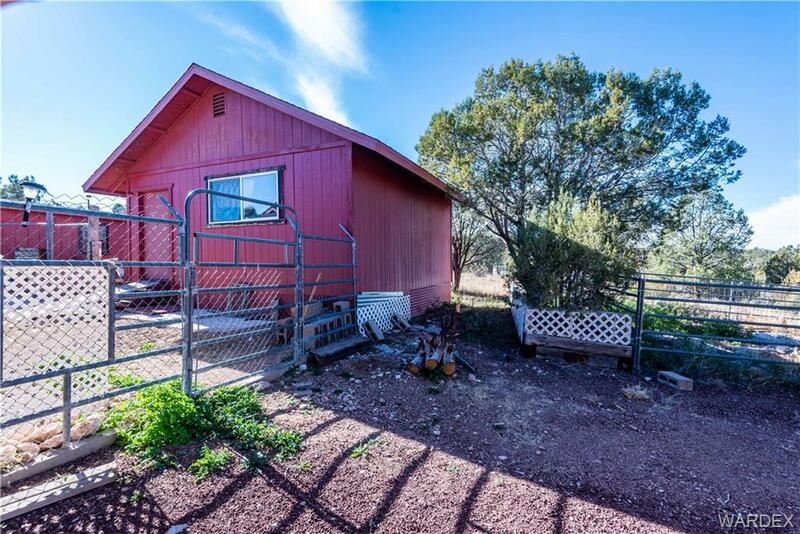 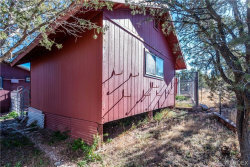 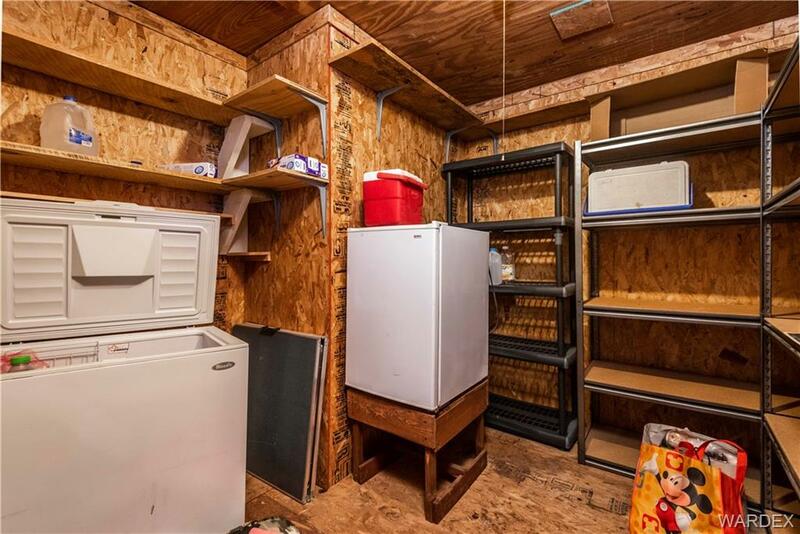 This 2 bedroom 2 bath cabin with Den, could easily be a 3 bed 3 bath if you need the extra bedroom. 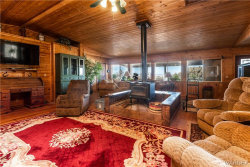 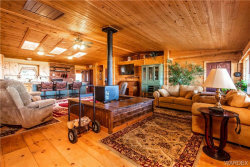 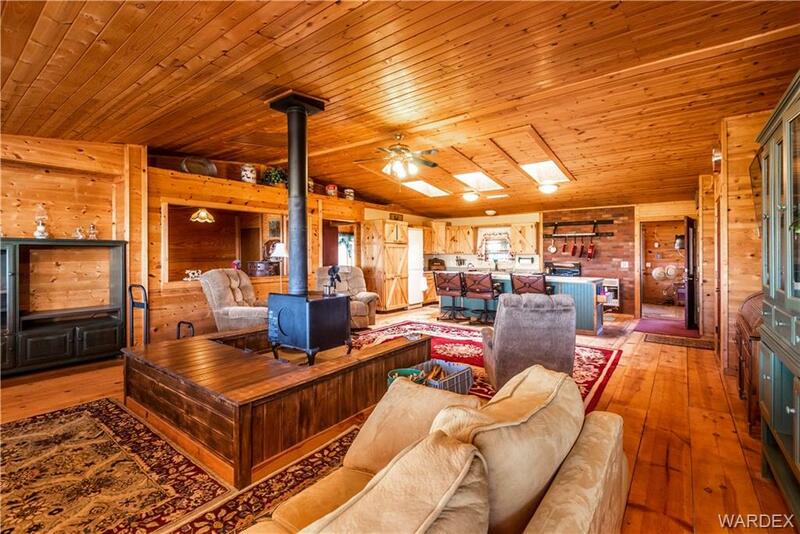 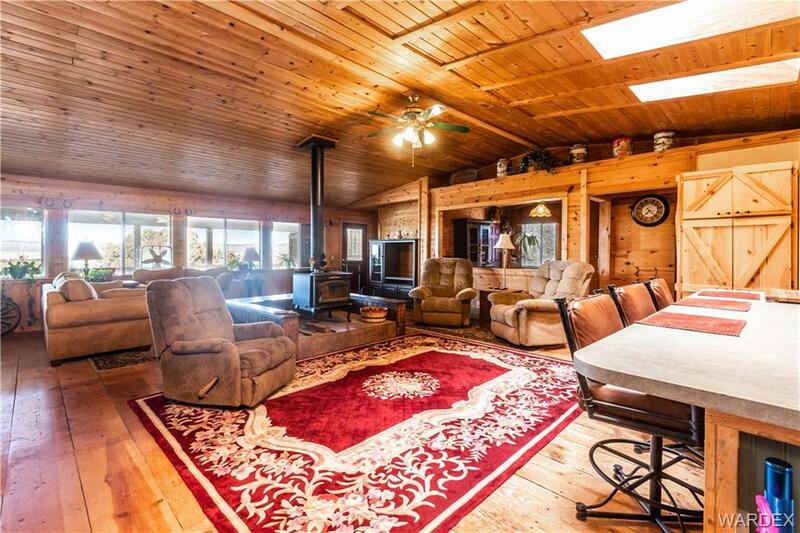 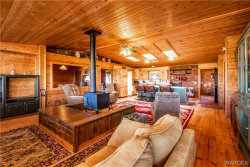 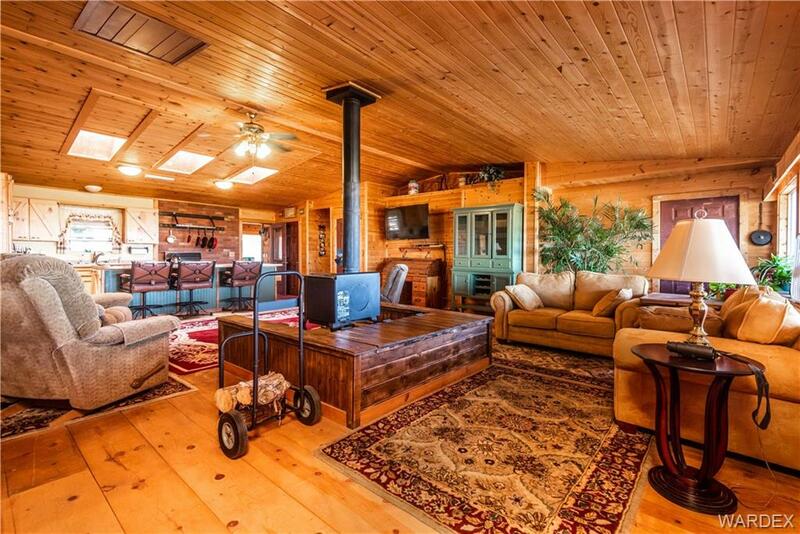 Huge living room with a centerpiece fireplace and several thermostatically controlled propane heaters keep this get-a-way toasty even when you are gone all day. 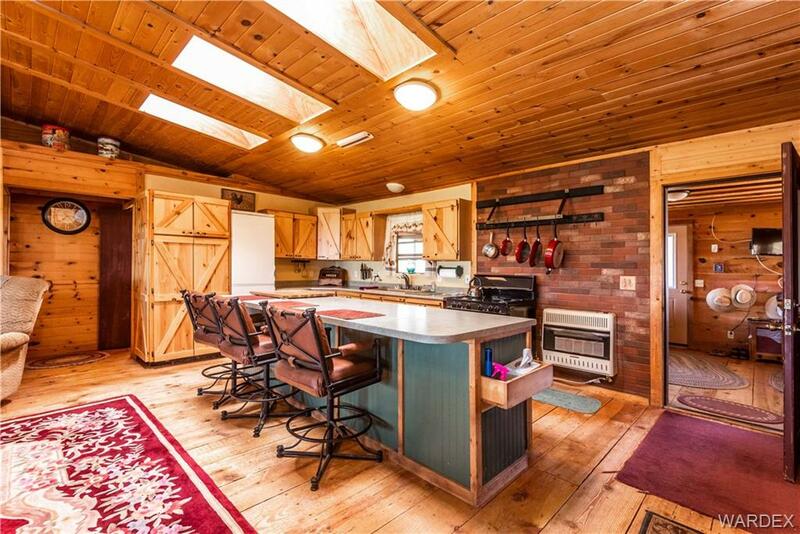 Back entry room is a huge room with a craft area, laundry area, a second dining room and a perfect dog room for your loved ones who might not be wanted in the kitchen. 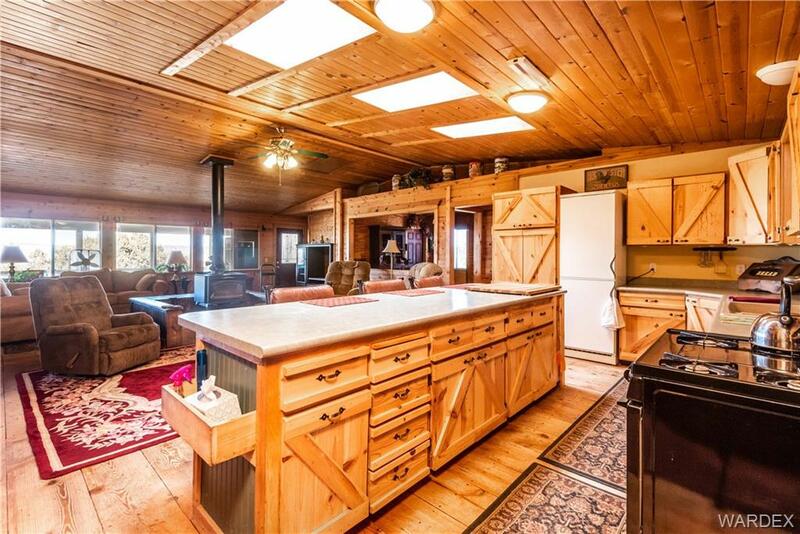 This home has LOTS of usable space. 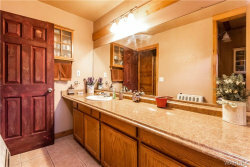 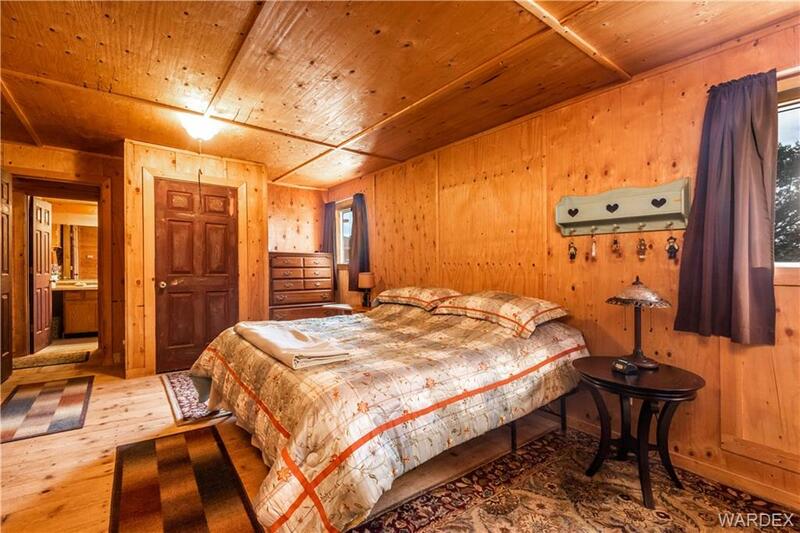 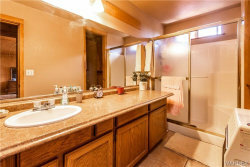 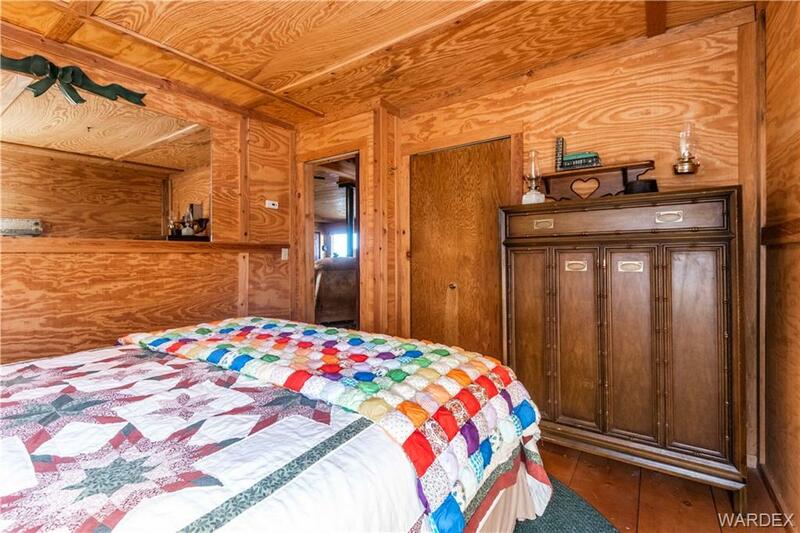 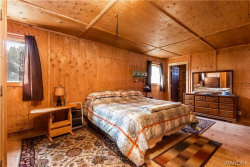 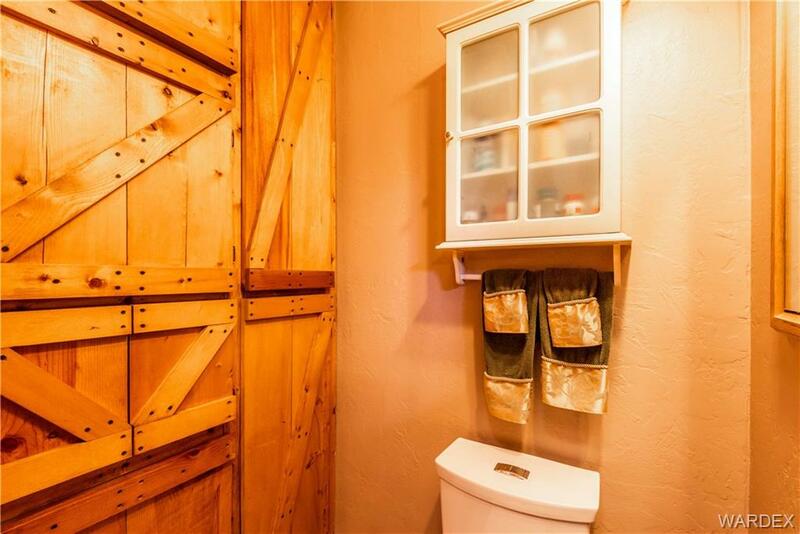 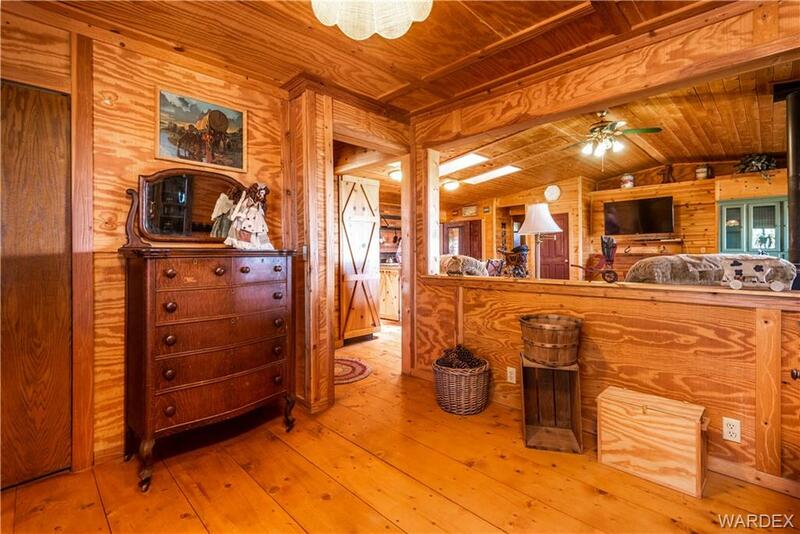 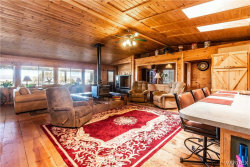 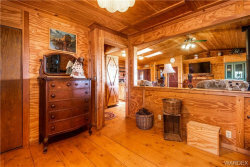 Master bedroom is unusually large for a cabin with an attached half bath; and is adjacent to the large full bath. 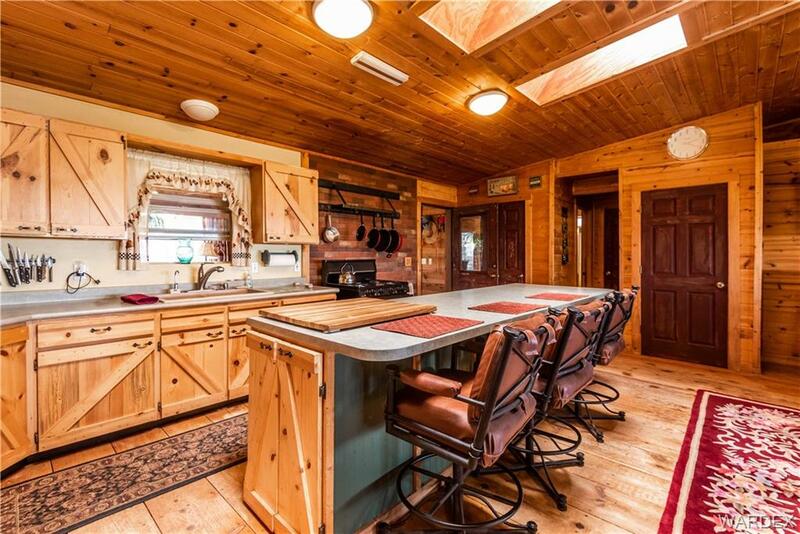 Kitchen is open to the great room so the cook stays engaged with the activities. 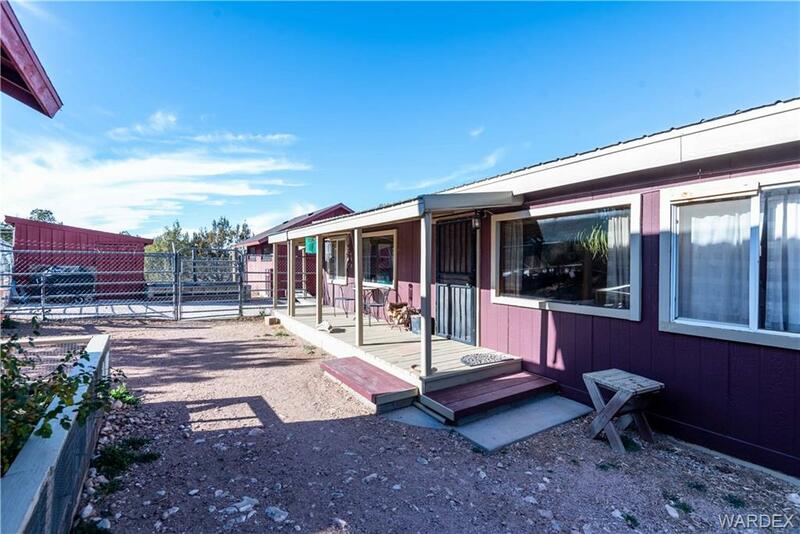 The front patio looks down across Route 66; and you can see the train from a far distance with the Music Mountain range as the backdrop truly stunning. 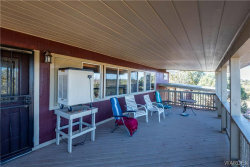 The covered patio is very inviting and looks like lots of good times have occurred there! 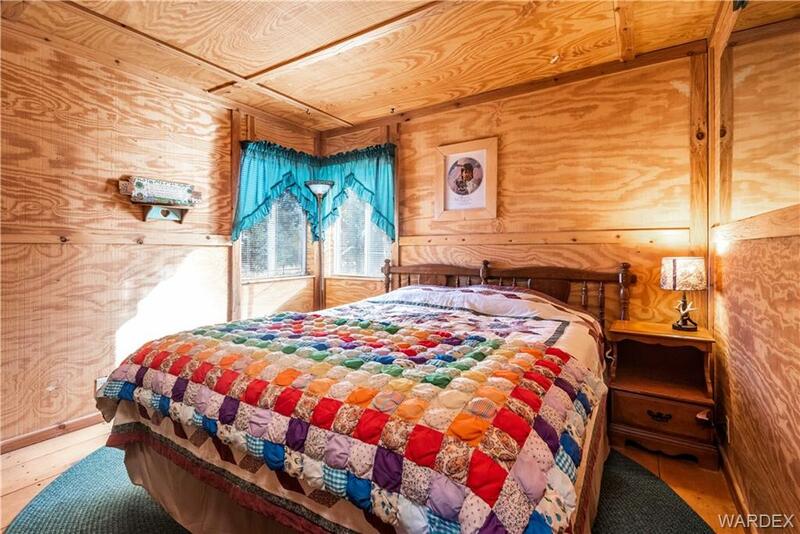 LOTS of room for animals, guests, or just elbow room. 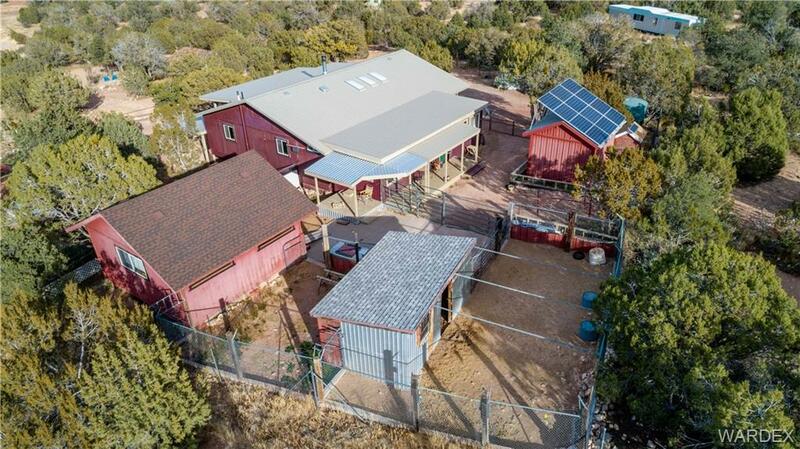 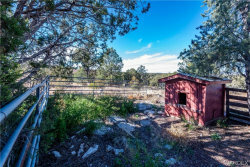 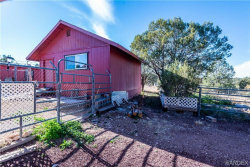 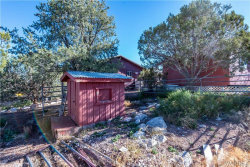 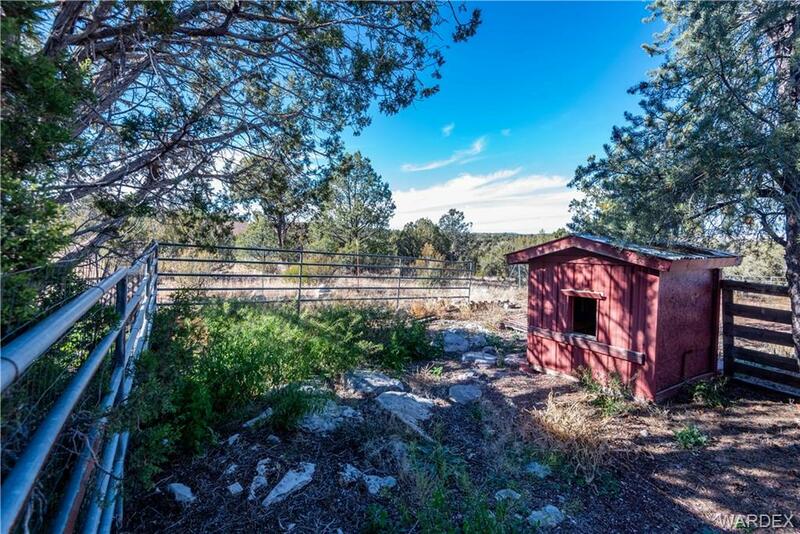 Currently there are horse facilities set up on the property with a large hay barn for dry storage and two small run-in s which have been used for horses and goats over the last few years. 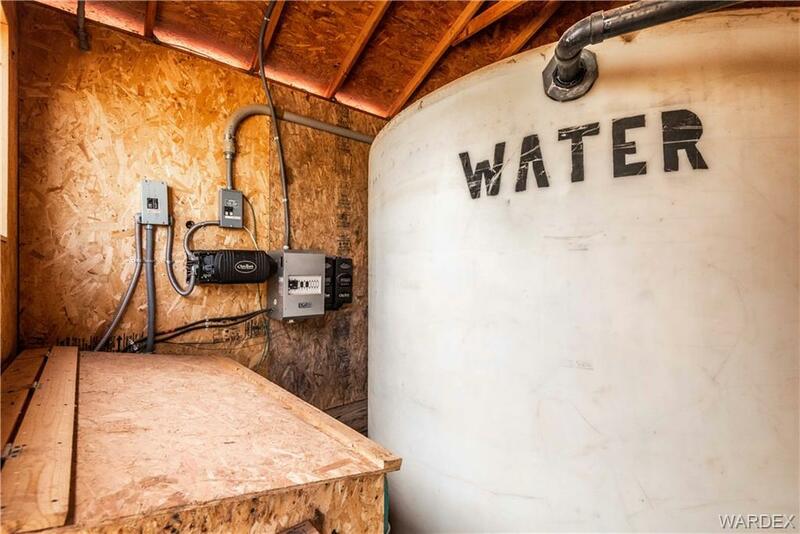 Systems are first rate, Outback inverter, 16 T105 batteries (3yrs old and well maintained); Outback charge controller and what looks like close to 2kW of generation (must be verified). 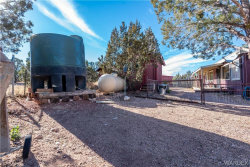 Lots of water storage on this water haul property; a 3500g storage tank for the residential use, and a 1500g separate tank for the animals. There are several available delivery companies or you can haul your own.